It all sounds like voodoo until you can find the sense (science) to understand it. 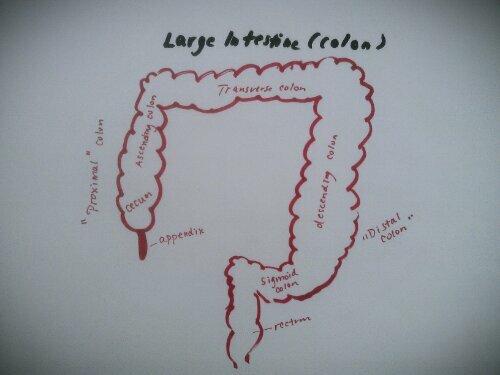 Part 1: Colons and colon bacteria make or break your health. (Poop tubes and cooties. Yes I know. Voodoo. True-doo.) Although it is little known and little stressed, the intestines and the bacteria naturally found in colons are the foundations to a healthy human body, from the brain to the liver to the skin to food intolerances to fighting infections. And you don’t have to have stomach pain, constipation, or diarrhea to have a broken gut. Part 2: Please pardon oversimplifications. The colon is a world of bacteria; there are good bugs and bad bugs living there. Bad bugs take up space, overgrow, crowd out the good bacteria, eat up all the food, and make chemicals that don’t agree with the GI tract. From a Discovery post on using how antibiotics harm the gut flora: “…The facts and figures relating to the numbers and functions of the commensal bacteria, and those in the gut in particular, remain awe-inspiring.” (1) This stuff is simply amazing, folks. Revolutionary. And I didn’t learn a drop about it in medical school or residency. What failures our academic institutions are in so many ways. Colon cancer and inflammatory bowel disease tend to really hit the last part of the colon the hardest, particularly in developed countries. So what? Why would this be? What can this suggest to us? Colon cancer seems so far away, so removed from me (although with my chronic constipation issue, in reality it is looming over my shoulder: Chronic Constipation Linked to Increased Risk of Colorectal Cancer— in case any readers have the audacity to question my open discussion of constipation). 1. Not enough plant matter is making it to the end of the colon for the bacteria to make the protective short chain fatty acids we discussed in our last post. This can happen in somebody who eats mostly processed foods that are easily broken down and absorbed by the small intestine. Or it can happen if someone is on a low carbohydrate diet. (However, “low carbohydrate” is not the same as “no carbohydrate” because some low carbers work very hard to incorporate plants into their diet, such as onions, garlic, and diverse vegetables low in starch–although later in the series, low carbers may be intrigued by resistant starch.) By increasing plant matter in the diet, more will reach the bacteria in the far ends of the colon to bathe the colon in sustaining and restoring SCFAs. High-protein, reduced-carbohydrate weight-loss diets promote metabolite profiles likely to be detrimental to colonic health: On the study’s very low carb, high protein diet, these researchers found that SCFAs and butyrate were decreased, one strain of butyrate producing bacteria were decreased, and some potentially cell damaging nitrogen compounds were increased. Remember, the bacteria make nitrogen containing byproducts when they metabolize proteins. Resistant starch attenuates colonic DNA damage induced by a high protein diet in rats: I want to throw this one in. It’s a rat study, and I know that isn’t perhaps always reflective of human pathology. Also, they use casein as their protein. I never know what to think about dairy proteins being used in studies. So you think this all sounds good. Stop colon cancer and other cancers. Help your blood sugars. Suppress hunger. Repair nerves. Fine. More specifics please. How can a person get butyrate? In my mind, I see four ways to increase butyrate. Closing: The next post will hone in on butyrate containing foods and maybe get started on butyrate producing foods. 1. The Impact of Antibiotics on the Gut Microbiota as Revealed by High Throughput DNA Sequencing. Cotter, Paul et al. Discovery Medicine. March, 2012. 13(70): 193-199. This entry was posted in Constipation, GAPS, Paleo, Primal, SCD, Whole30 and tagged Butyrate, colon, Food, High-protein diet, Low-carbohydrate diet, Short-chain fatty acid on November 23, 2013 by thehomeschoolingdoctor. Hi, Lindsay! Great inadvertent joke! Ha! Ha! Thanks for noticing all the sources–because that’s the hardest and least fun part–going back through all those papers, finding the information you pulled from it, and then citing it. Yuck. But I do want people to be able to trace what I read and said. Happy, happy Thanksgiving! Got all the celiac-safe foods planned? I’m working on it! Again interesting! I am looking forward to hearing what foods are good for producing butyrates, and if I will be able to incorporate them into our diet. I think it’s so interesting! I’m looking forward to getting the posts out and getting it finalized in my head, too. Thanks for reading! First, thanks for the article — it answered a few questions I’ve thought about since I started the Paleo diet. Second, can I now refer to you as a “voodoo doctor”? You’re welcome! Of course you can! I just hope that it doesn’t become a Google search term for the site!